Nowadays I live in Nelson Bay, New South Wales, Australia with my wife Mary and our border collie Bella. 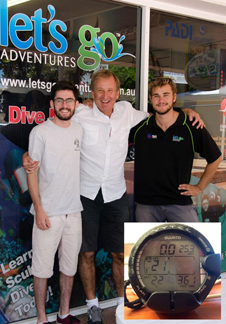 Nelson Bay is a relaxed holiday town with fabulous beaches just a few hours drive north of Sydney and very importantly has some great diving – check out my Dive Log reports of Nelson Bay and nearby Broughton Island to see for yourself. I was born in Kent, England and spent most of my life based in Folkestone, Kent moving to Australia in 2009. 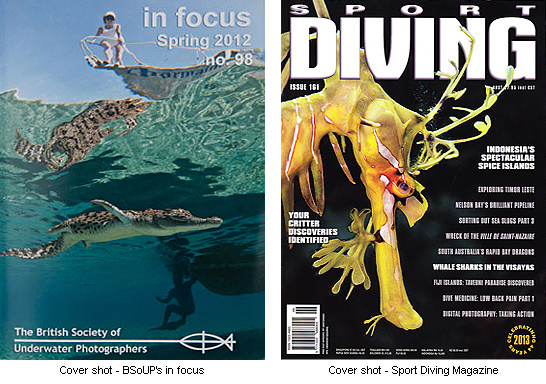 I now hold joint Australian/British citizenship, am a regular contributor to Australia’s Sport Diving Magazine, occasional contributor to other magazines and am a member of the British Society of Underwater Photographers (BSoUP). I used to have no interest in diving whatsoever. However my late wife Eve did and in December 1994 I reluctantly joined her on a Try Dive, in the Red Sea. To my amazement I thoroughly enjoyed it and was soon assuring everyone that I had always wanted to dive. Keen to capture memories of my underwater dives, I began shooting video but soon became seduced by, in my opinion, the greater challenge of still photography. Well that and very few people wanted to watch my videos! 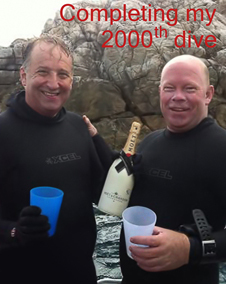 Some of the photographs on this website date right back to when I first began diving - the quality is not good! Of course over the years the equipment has improved and I’d like to think, so has my photography. From March 1995 to November 2003 all the photos on my website were scanned from conventional film “snaps” or simply taken from my analogue video stills. After that I used Olympus C5050 and C5060 compact cameras and then from June 2006, Nikon digital SLRs. First the D200, upgrading in August 2012 and November 2015 to the D7000 and then D7200. Following the theft of my D7200 in 2017 I purchased the Nikon D500. All my old photographs are still on my website and it’s easy to see how my photography has developed over the years. 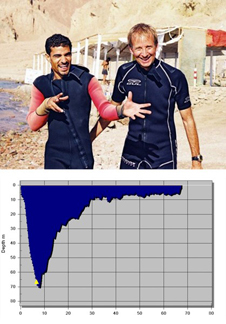 Those “old inferior shots” combined with the ongoing banter of my blog-like Dive Log reports can be said to detract from what I otherwise like to think is this website’s professional appearance. However these are treasured memories for me of many fun times with friends, some no longer with us. Suffer from insomnia? My News page may be able to fix that from you! I admit it has a strange content mixture dominated by Advertising but it also contains some less soporific content. Use the News menu to check out say Awards or maybe Publications or Talks. Just stay away from Advertising! I particularly enjoy photographing sharks and feel comfortable in their presence. With one exception - the Great White. I am happy enough being inside a cage when Great Whites are around, I was even reasonably relaxed sitting on top of a shark cage with Andrew Fox of famed Rodney Fox Shark Expeditions in South Australia while Great Whites circled us. 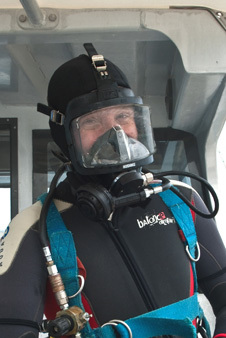 But when solo diving at Nelson Bay, a 3 metre Great White inquisitively circled me and although of course nothing happened, that did spook me. I always appreciate feedback about my website so if you have any thoughts, please use my Contact page to let me know these.